If you're wondering how to save money on your next holiday, worry no more. Our top 10 travel hacks will ensure you have a great time without emptying your bank account. First things first - decide how much you want to spend and don't let yourself go over that hard limit. Our free money management software makes it easy to plan for the future, with the option to set yourself goals to help you keep track of your savings. 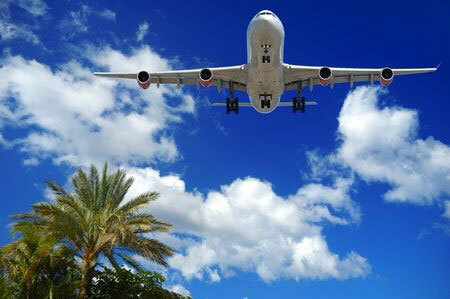 Many bank accounts in the UK offer their customers free travel insurance. It's worth checking the small print of your account, or enquiring at the bank, before splashing out on a costly policy. Unfortunately, the days of cheap last minute flights are long gone. Savvy travellers know that it pays to book ahead: 59 days ahead, to be precise. Lots of hotels sell their rooms off cheap at the last minute. Loads of sites now offer ‘Secret Hotels', and if you're brave enough to book on the day you could find yourself staying at a luxury chain for less than half the usual price. You can save even more money on accommodation by trying something different, such as house sitting. This involves looking after someone's property and pets while they go on their own holiday. You can use sites like Trusted Housesitters and MindMyHouse to find opportunities around the world. Buy a bag in the exact dimensions of the maximum hand luggage size and use that instead of paying extra for a suitcase. Roll clothes instead of folding them: not only does it take up less space, it also results in less wrinkles. Who doesn't like free money? Sites like TopCashback partner with a range of companies to offer money back on purchases such as flights, train tickets, and even hotel rooms. You just have to follow a link from their website. The first rule of saving money is to shop around. Websites like Skyscanner, Hipmunk and Kayak make it easy to compare flight prices all in one place so you don't have to shop around. Skyscanner even has a function that shows you which destinations are cheapest to fly to from your chosen airport, and which months are the cheapest to fly. If you travel a lot, you can save money by signing up for a credit card that gives you Avios (air miles). Also consider booking through sites like Hotels.com, which offers a free night's stay after you spend a certain amount of money. When you're budgeting for your trip, sightseeing will probably be one of your biggest expenditures. Find out if the destination you're visiting offers a tourist card. Cities like Berlin and Lisbon both offer these, and although they cost a bit of cash up front, they'll save you money on things like public transport and entry into museums. It really depends how much sightseeing you want to do.